During the Techtextil show, which has been held in Atlanta/Georgia, USA, end of May, Loepfe experienced very strong demands for their yarn control solution WeftMaster FALCON-i. “Today, technical textiles are included in nearly every aspect of human lives covering a variety of different needs. Especially producers from the US are keen to find simple solutions, which contribute to high-quality end products. The reliable quality control of high-tech materials through the precise sensor technology of FALCON-i has satisfied many of our customer’s needs”, says Luc Vanoverschelde, Product Manager at Loepfe. 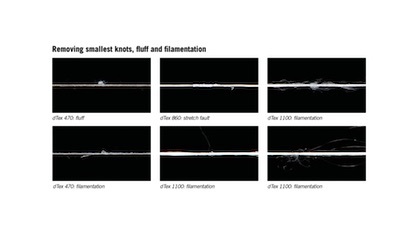 In quality sensitive applications even smallest knots, fluff, filamentation, thick places and capillary breaks have to be eliminated before being interwoven into the fabric. To monitor such unwanted yarn faults on the running threads, the WeftMaster FALCON-i is installed before or after a weft feeder. The yarn control system ensures reliable control of latest high-tech materials such as carbon fibers, monofilaments, multi-filaments as well as spun yarns in any material composition. Even conductive yarns can be processed without any restriction. The sensor works reliably with colored yarns and measures unaffected by vibrations. Static electricity or electromagnetic fields have also no influence on the results, as the sensor housing is made from shielding material. The sensitivity level of the FALCON-i can be set either manually or automatically. The thread to be monitored is guided through the optical measuring field by yarn guides placed before and after the sensor virtually contact-free. An output signal triggers the required action, as soon as a defect has been detected. The microprocessor-controlled sensor provides many options for connection to machine controls. Furthermore, the weft sensor function can be integrated into FALCON-i. This option allows elimination of a further yarn guiding contact before the fabric production. 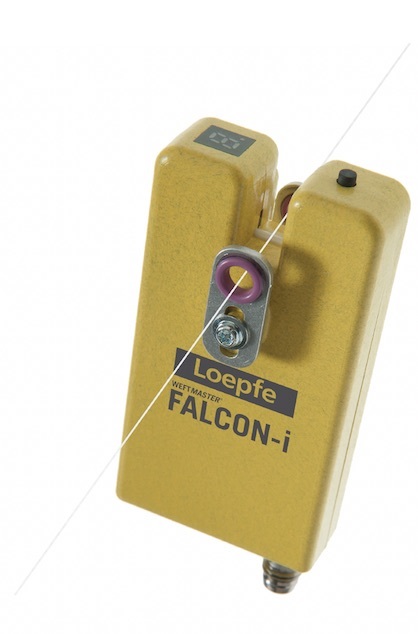 Loepfe’s optical yarn defect sensor FALCON-i is not only complementing the various available knotless weaving concepts, but can also be used in many different processes down the textile production chain, wherever an individual yarn monitoring should ensure quality. More News from LOEPFE BROTHERS LTD.
Daniel Link has been appointed CEO of Loepfe Brothers Ltd.